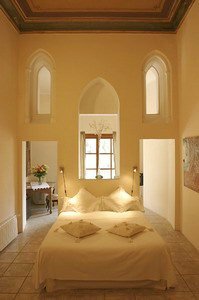 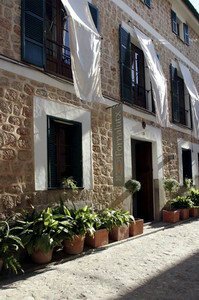 The hotel, which was some years ago was a nuns convent and the school of the village, is located in an narrow street without traffic, with a pavement decorated with plants and flowers, giving a fantastic environment and beauty to the place. 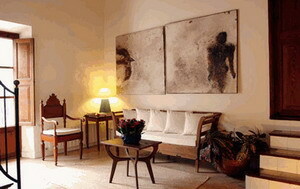 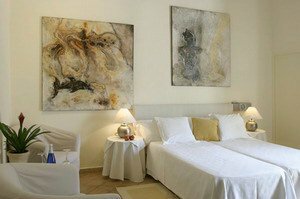 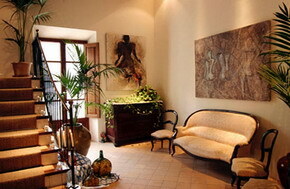 The house offers 6 double rooms with bath and 2 suite rooms which are very well furnished. 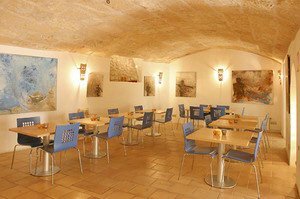 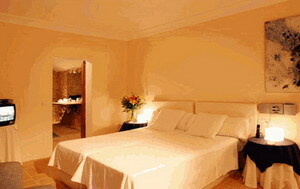 The breakfast room is located in a natural cave, very well decorated, offering a copious buffet. 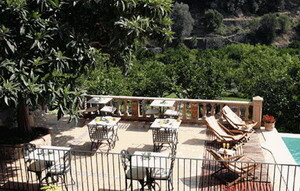 The terrace has a wonderful view over the valley of orange trees and the mountains, where you can hear the singing of the birds, is also used in the spring in autumn and the summer time to take breakfast and to enjoy the blue sky, the peace and the landscape of the region. 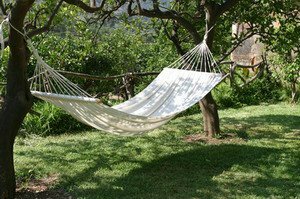 Help yourself to fresh oranges direct from the trees from the garden, or you can also relax and read a book under the shadow of a tree in a lounge chair..... 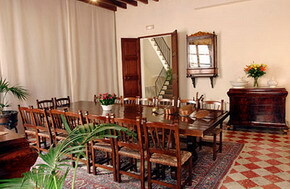 The house has also a reception desk, lounge, a reading room which can be used as well as an small conference room and central heating in the whole house. 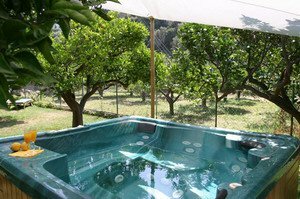 Recently a JACUZZI has been installed in the garden surrounded with orange trees, which can be used by every guest free of charge.